Reiki is a Japanese healing system that channels universal life-force energy for stress reduction and relaxation that also promotes healing. It is administered by ‘laying on hands’ and is based on the idea that an unseen ‘life-force energy’ flows through us and is what causes us to be alive. If one’s ‘life force energy’ is low, then we are more likely to get sick or feel stress, and if its high we are more capable of being healthy and happy. The word Reiki is made up of two words: Rei means spiritual wisdom, and ki means energy, so Reiki means spiritual energy. Your therapist will begin your session by clarifying what you expect from the session and then with you set an intention for your session. At Whispers of the Heart, your treatment lasts 50 minutes with you laying on your back on a comfortable massage table. You will be covered with a blanket if appropriate. 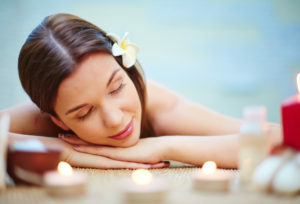 A treatment can feel like a wonderful glowing radiance that flows through and around you. Reiki treats the whole person including body, emotions, mind and spirit creating many beneficial effects that include relaxation and feelings of peace, security and wellbeing. If you would like to feel amazing, book a treatment today.